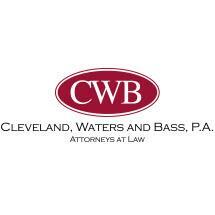 Established in 1959, the law firm of Cleveland, Waters and Bass, P.A. offers sound legal counsel to businesses of all types concerning matters related to various transactions, contract disputes and other legal challenges. Our New London law office caters to those in Merrimack and Sullivan Counties and across New Hampshire who are facing legal issues regarding real estate, taxes, trusts and estates. Our team of experienced attorneys prides itself on providing customized service in a professional and cost-effective manner. Clients seeking legal intervention regarding business transactions or issues related to trusts or estate planning often face interconnected family issues that pose legal problems. Our law firm helps clients navigate the legal system through the collaborative efforts of each one of its members. We are proud of our successful litigation record and are committed to offering effective representation that serves the unique needs and protects the best interests of each one of our clients. Helping business clients achieve their goals in court has been a main focus of our law firm since its inception. We provide individualized service to privately held businesses, charitable organizations and individuals located throughout the New Hampshire region. The dedicated team of attorneys at Cleveland, Waters and Bass, P.A. advises businesses of all types, including those whose main focus lies in manufacturing, software, engineering or distribution. Our commitment toward obtaining positive outcomes in court extends to each one of our clients whose business-related legal needs are our priority.